Turkish prosecutors have begun investigating the disappearance of prominent Saudi commentator Jamal Khashoggi, who has been missing for four days after entering the Saudi Consulate in Istanbul, and Ankara has vowed to uncover his whereabouts. Khashoggi, who has lived in self-imposed exile in Washington for the past year fearing retribution for his critical views on Saudi policies, entered the consulate on Tuesday to secure documentation for his forthcoming marriage, according to his fiancée, who waited outside. He has not been heard of since. On Friday, Crown Prince Mohammed bin Salman said Saudi authorities would allow Turkey to search the kingdom’s consulate in Istanbul for Khashoggi. Human rights groups have called on Saudi Arabia to verify Khashoggi’s whereabouts. 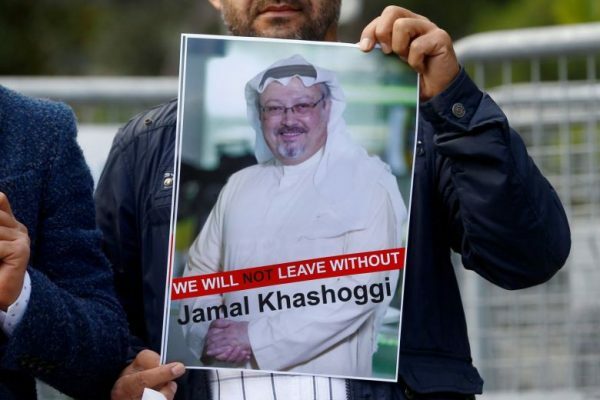 Human Rights Watch called on Turkey to deepen its investigation into the case, saying if Saudi Arabia had detained Khashoggi without acknowledging it, his detention would constitute an enforced disappearance. It was not immediately clear whether prosecutors in Istanbul had launched the investigation on Saturday or earlier. The prosecutor’s office was not immediately available for comment. However, the spokesman for Turkish President Tayyip Erdogan’s AK Party vowed that authorities would uncover the whereabouts of Khashoggi and the details of his disappearance through the investigation. “A journalist disappearing in such a way is something a confident country like Turkey will look at sensitively. The condition of the lost journalist, details on him and who is responsible for this will be uncovered,” Omer Celik said. Over the past year, he has written columns criticizing Saudi policies toward Qatar and Canada, the war in Yemen and a crackdown on dissent which has seen dozens of people detained.